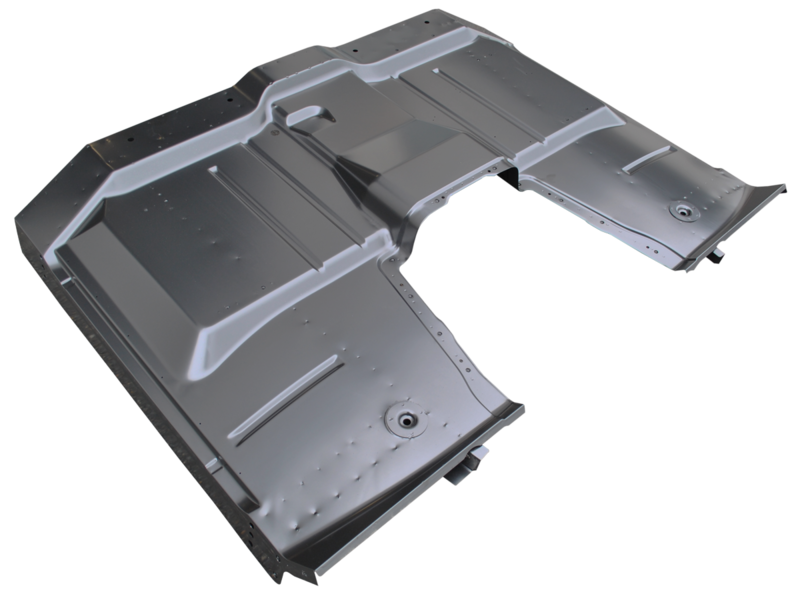 This full floor pan assembly, with removable trans cover, fits 1963-1966 Chevrolet and GMC Pickup Trucks. Please call 865-761-0460 for a shipping quote on this item. NOTE: THIS MAY BE USED ON 1960-1962 BUT THE FRONT FLOOR SUPPORT BOLT HOLES NEED TO BE DRILLED. THESE COME DRILLED FOR THE 1963-1966.